Welcome to Mrs. Noah’s Web Site! This has been an interesting day. 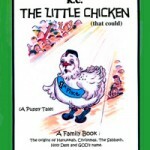 I sent out my Hanukkah story, a chapter from my book, “The Little Chicken That Could”, that includes some history of Israel. It is amazing how Israel — ALL of the Hebrew family — kept bringing pagan traditions into the worship of Yahuwah! Even though we have been admonished, over and over, NOT TO MIX, but to “come out of her my people!” I pray you are warm, safe and blessed with the desire to know and serve the Almighty God of Israel! As I watch the devastation in Japan, I can’t help but say, “Thank you Father! There — but for YOUR mercy — go we!” I have a hard time comprehending the pain and fear that is ruling in that land right now. Many have died — many more have to deal with the results of not knowing HIM — not keeping His commandments. I hope you read our story and find the answer to Louise’s question — “just what IS sin?” Think you know? Check it out. Shabbat Shalom! Mrs. Noah and the gang. Thank all of you for your concerns for Libby, our little dachshund. I have been giving her good nutrition to support her liver and kidneys, which I understand can shut down after antifreeze poisoning. She is doing really well, almost her normal self. My grandkids are sure happy! 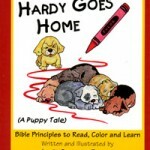 This weeks story takes Hannah and Max to the camps where they are preparing the materials for building the Tabernacle. And, that Cecil? Well, he … oh, you can read the story! For those of you who got the TLC game, thank you in advance for your input. I need that as we finish the final edit. Hopefully, it will be available to purchase soon. Don’t forget, Passover is coming up, so look at our “Mrs. 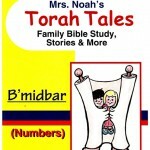 Noah’s Secret Seder” to help your children understand what a seder is and help you with your choices in preparing. P.S. I just finished the final story for the 3 year cycle (that is stories going from Gen to Deut in 3 years). At the end, I invite all of my readers to look at what I am doing NEXT. IF you would like that story, let me know, I think it is an exciting conclusion — or is it an exciting new BEGINNING?.